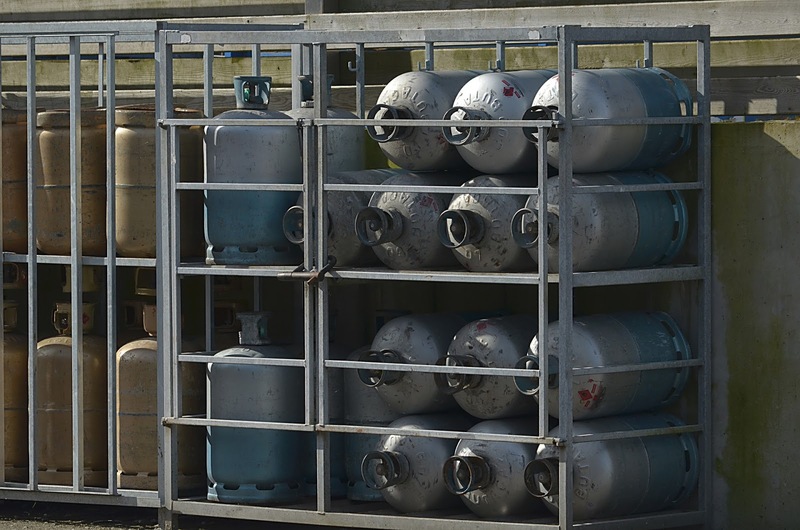 A Hong Kong liquefied petroleum gas (LPG) supplier has recently installed our RFID system to the management of LPG cylinder. We have provided a total RFID solution includes all software and hardware needed. Instead of using barcode as the method to identify and manage LPG cylinder, RFID has been suggested to the clients as its abilities to survive under harsh environment, store larger amount of information and its characteristics of longer lifespan, enhanced reading range and speed. Besides, using RFID enables the client to have a better and convenient ongoing management and maintenance record. Information and status can easily be updated by tapping the tag with a handheld reader (or android smartphone). With this RFID-enabled management system, every LPG cylinder will be tagged with a RFID tag as a unique tracking identifier. Within the workflow, every cylinder must be identified each time when they are sent out, consumed and returned. 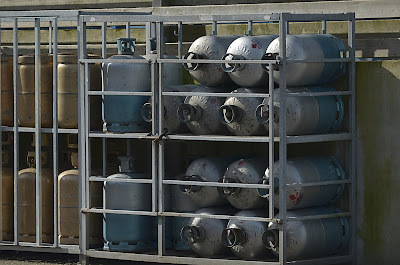 Each LPG cylinder, after returned, will undergo inspection and condition monitoring. These processes will be performed by different parties (the manager, the worker, the driver....) at different locations with RFID readers and those records will be updated to the same web-based platform. 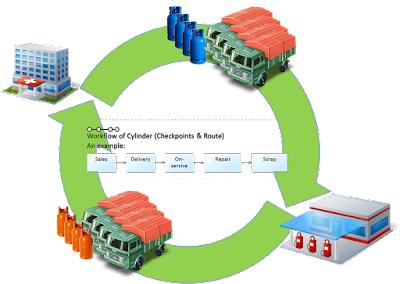 The web-based management system provides a convenient path for different users to access and update the workflow and the history record of each LPG cylinder. Item lists, user lists, history records and etc. are all available to retrieve on web. Besides, the instant location of each cylinder can also be traced by GPS and synchronised through 4G data cellular.